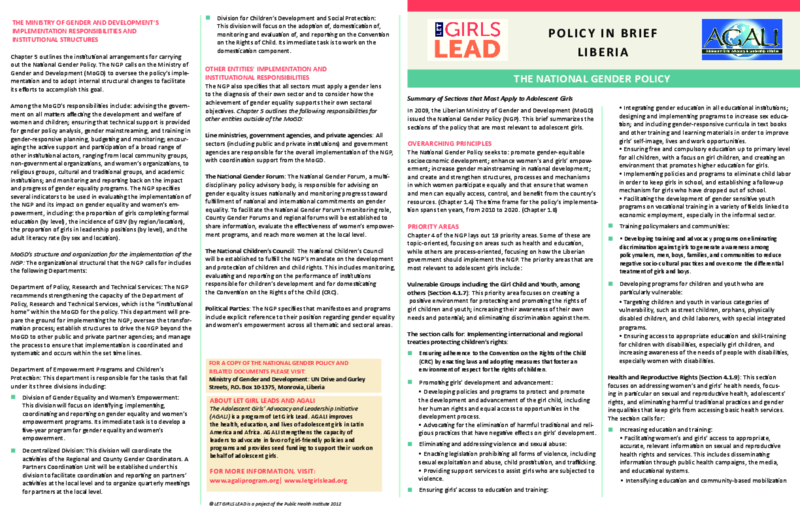 In 2009, the Liberian Ministry of Gender and Development (MoGD) issued the Nati onal Gender Policy (NGP). This brief summarizes the sections of the policy that are most relevant to adolescent girls. Copyright 2013 by Let Girls Lead. All rights reserved.